Jaguar West Columbia is a family owned and operated dealership that has been operating for over 14 years. That many years puts a whole lot of knowledge and experience behind our desks, but it also demonstrates our commitment to this community. Here in Clarksville, we have worked hard to maintain our great reputation and to always deliver the very best car buying experience that we can offer. That’s why customers come from miles around including Columbia, Ellicott, Baltimore, Silver Spring, and all the surrounding areas. When a customer comes to us, we treat them as an honored guest in our home. Jaguar is a forward-thinking brand with strong roots in history. If you want to live on the cutting edge without sacrificing style, grace, or luxury, then, simply put, you need a Jaguar. These astounding vehicles come in multiple variations including the luxurious XF, the sporty XJ, and the ever-popular F-TYPE. Come to Jaguar West Columbia today, and let our staff walk you through all the amazing Jaguar options. We will help you fall in love with the perfect piece of British engineering. You can even take them out for a test drive and get to know our Jaguar inventory first hand. We are more than just a dealership here at Jaguar West Columbia. We are here to help you maintain your lifestyle. Not only do we have a great selection of new Jaguar vehicles, but we also have an impressive pre-owned inventory. When you need Jaguar maintenance or service, our service department will be right here in Clarksville ready to help you out. We will take care of everything for you and get you back out on the road before you know it. 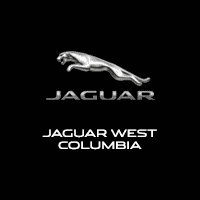 Even if all you need is a Jaguar part or accessory, you can consider Jaguar West Columbia your supply center. Feel free to give us a call or stop by if you have questions about what we can provide for you.